Legendary country musician Waylon Jennings left behind a huge legacy that would live on for generations to come. A music lover since the age of 8, Waylon got his start performing as a disc jockey in various radio stations across his native Texas. He formed his first rock band, The Waylors in the early 60s and by the 70s, he joined the Outlaw movement leading him to collaborate with one of the genre’s pioneers Willie Nelson. Waylon Jennings enjoyed much success in the 70s. His 1976 album Wanted! The Outlaws which featured several country stars was the first country album to go platinum. Waylon’s success continued through to the late 80s but waned after then due to ill health and cocaine addiction. Over the course of his career, Waylon Jennings released 45 studio albums and 49 other albums including 28 compilation albums and 16 collaborations. He sold over 20 million albums worldwide. Waylon’s cause of death can be traced back to the mid-1960s when he nurtured a cocaine addiction. It got worse as years passed and even took a toll on his finances. At one point, Waylon would spend as much as $1,500 per day on cocaine and amphetamines. This soon led to a $2.5 million drug debt which he had to work hard to clear. Cigarettes were not left out, Waylon smoked up to 6 packs of cigarettes on a daily basis. In the mid-1980s, he decided to get clean, detoxifying himself with plans to take cocaine on an occasional basis. Waylon only began to get clean after his habit started to tell on his health. He underwent a heart bypass surgery in 1988 and in the early 1990s, he was diagnosed with diabetes. The new millennium came and Waylon’s health got worse forcing him to undergo a second surgery on his leg. Jennings’ foot was later amputated in December 2001. On February 13th, 2002, the musician passed away in his sleep – he was 64 years old. Waylon Jennings was laid to rest two days later in the City of Mesa Cemetery, in Mesa, Arizona. The funeral was graced by many country music greats. Waylon Jennings married four times and had a total of 6 children from his wives. He was married to country singer Jessi Colter from October 26, 1969, to the time of his death. During the peak of his drug addiction, Colter was close to divorcing Waylon, however, she changed her mind letting death do them part years later. Jessi Colter, a native of Phoenix, Arizona was born Mirriam Johnson on May 25, 1943. The daughter of a race car driver dad and a preacher mom, Colter was raised in a strict Pentecostal family. She began playing piano at her local church from the age of 11 and developed her music from then on. Her love for music caused her to cross paths with ace guitarist Duane Eddy whom she married in 1961. She made music with Eddy and by 1968, after 7 years of staying married, they were divorced. They had one daughter together named Jennifer. She met Waylon Jennings in 1969 and after a whirlwind romance, they got married. Colter’s musical career which had failed to gain momentum for years leaped to life shortly after she married Waylon. It was after meeting Waylon that she adopted the stage name Jessi Colter which was in honor of her great-grandfather, Jesse Colter. Together with Waylon, Colter enjoyed a lot of success in the 1970s. She is best recognized for her 1975 country-pop crossover hit “I’m Not Lisa”. In April 2017, Colter released a tell-all memoir about her life with Waylon. The book is titled; “An Outlaw and a Lady: A Memoir of Music, Life with Waylon, and the Faith That Brought Me Home”. Waylon and Colter had a son together. 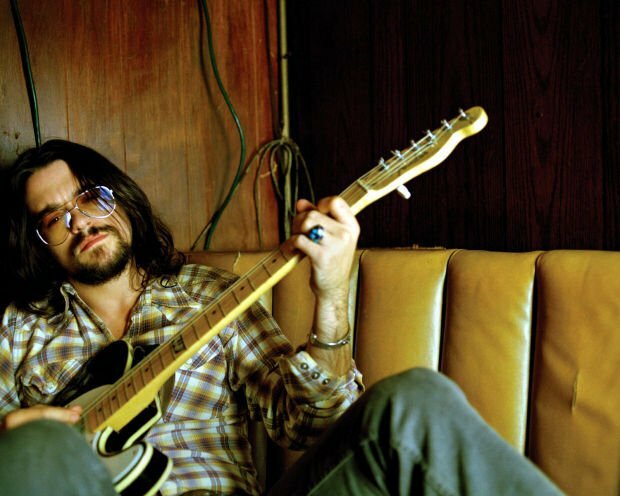 Named Waylon Albright “Shooter” Jennings, he was born on May 19, 1979. Shooter has followed in his father’s footsteps making music in the outlaw country genre. He has released at least 8 studio albums. Mr. Shooter has two kids from his long-term relationship with actress Drea de Matteo. He married Misty Brooke Swain on June 4, 2013. Waylon’s other five children from his previous marriages include; Terry Vance Jennings (born January 21, 1957), Julie Rae Jennings (born August 12, 1958), Buddy Dean Jennings (born March 21, 1960), and Deana Jennings all from his first marriage to Maxine Caroll Lawrence. His second marriage to Lynne Jones produced an adopted child named Tomi Lynne. Waylon Jennings’ towering figure was perhaps his most conspicuous physical attribute. He stood at a little over 6 feet tall and weighed approximately 80 kg. Waylon had an average built body type and his hair color was dark-brown. Also, he had brown eyes.